A vasectomy is often considered to be a permanent method of birth control, but this process can be reversed. A vasectomy reversal (vasovasostomy) can reconnect the severed ends of the vas deferens using a very delicate, microscopic, outpatient procedure. When successful, this allows sperm to once again be ejaculated. 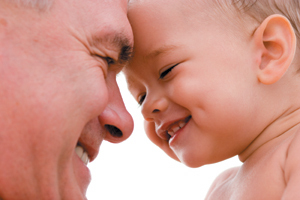 The chances of vasectomy reversal success depend on how much time has passed between the vasectomy and the reversal. With the modern microscopic technique used at Alliance Urology Specialists, more than 90% of our patients have sperm in their ejaculate after vas reversal. A resulting pregnancy also depends on the time that has elapsed since the original vasectomy. If it has been less than five years, and the partner is fertile, a 60-70% pregnancy rate can be expected. If between six and ten years have elapsed, the chance of pregnancy drops to 50-60%. After 10 years, the rate decreases to 30-50%. These odds are generally better than those of tubal ligation reversal, and the cost is usually less. There are rare instances when the vas must be anastamosed to the epididymis directly (vasoepididymostomy). This is a much more difficult procedure with a lower pregnancy rate. The alternatives of obtaining sperm from the testis or epididymis directly are much more expensive. The sperm is combined with harvested eggs (in vitro fertilization), and the fertilized eggs are then implanted back into the female. Risks of vasectomy reversal are rare and include side effects associated with general anesthesia, infection at the site of surgery, internal bleeding, and of course, failure to restore fertility. There is no increased incidence of birth defects related to the procedure, other than those associated with the patient’s age. This outpatient procedure takes two to three hours and is performed under general or spinal anesthesia. Most men are back to work within a few days, but instructed not to do lifting, squatting, or exercise for two weeks. For more information about vasectomy reversals, call 336-274-1114.